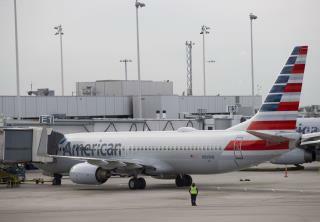 (Newser) – The US is still flying Boeing 737 Max 8 planes, despite a growing number of nations grounding them following two crashes in less than five months. (NPR is keeping track of the countries and airlines that have grounded the planes so far.) But airline pilots on at least two US flights say they have indeed experienced problems flying that type of aircraft, the AP reports. Though official causes have not yet been determined for either October's Lion Air crash in Indonesia or Sunday's Ethiopian Airlines crash—and no link between the two has been confirmed—many have theorized the plane's anti-stall system played a role. In both crashes, the planes noses tilted down suddenly. And in two safety reports filed voluntarily last year, which do not publicly reveal airline, pilot name, or location, two US pilots reported having that same issue. In US, Boeing has grown so big and so good that people would never think nor believe it would make such 'nose-down' error. The error appeared to have been detected by Boeing earlier, except the rectification did not work all the time as expected. Was it due to inadequate and hasty pretest, or overconfidence? Now the giant is in big trouble. ONE broken instrument MUST NOT spoil the controls. Every vital measurement should be managed by at least two instruments based on different sources of information to start with. More simply spoken: Look at important information from at least two different points of view (basic principle of science). If you had three instruments based on three different natural effects you could even calculate a margin of error and rule out one automatically if it is no longer credible. If you have only two independent measurements it should be up to the pilot to rule out the foulty one if doubt arises. Instrument cost should not impede the reliable collection of vital information. those pilots of lion air and ethopian airlines are like suicide bomber.